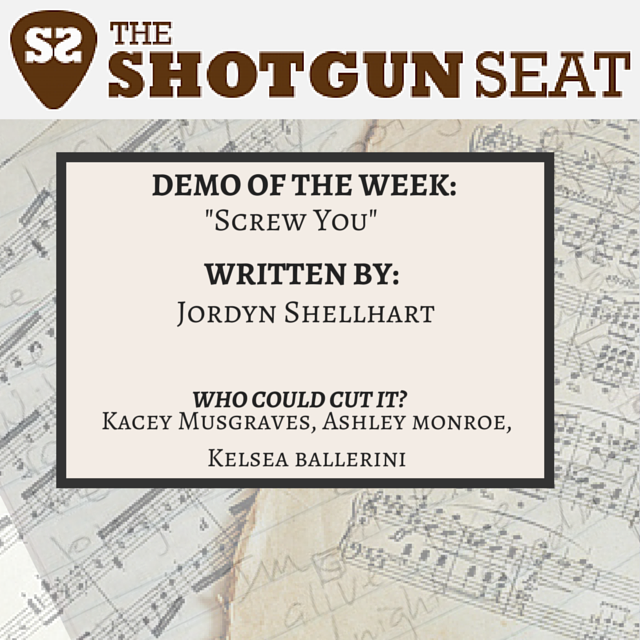 Clever wordplay and uptempo banjo make this “I’m calling you on – and very much over – your BS” anthem. 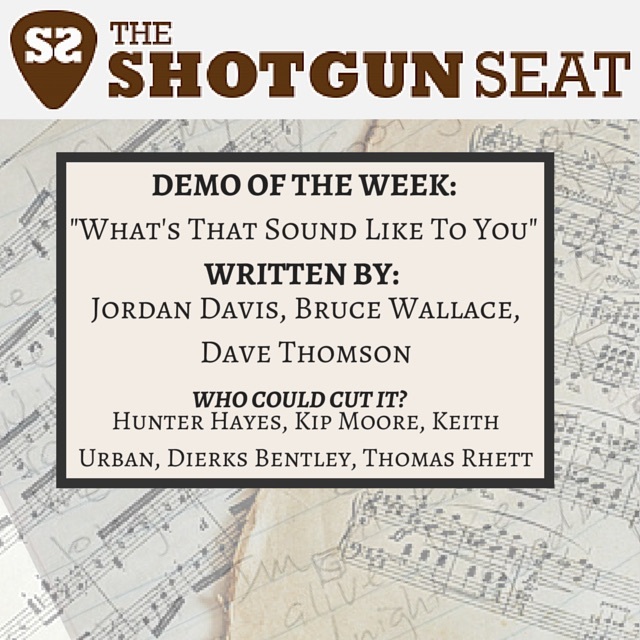 This week’s demo is “What’s That Sound Like To You,” a windows-down-music-up soundtrack to making summer vacation memories. 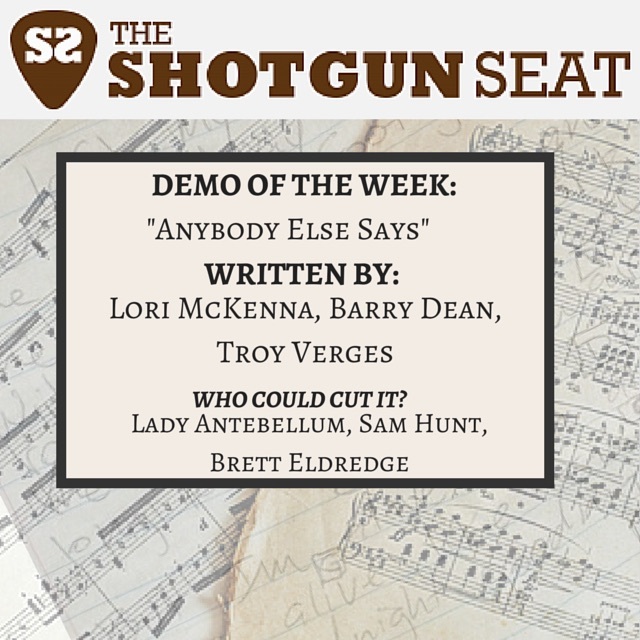 This week’s demo is the fervent, 5am us-against-the-world love song “Anybody Else Says,” by Lori McKenna, Barry Dean, and Troy Verges. 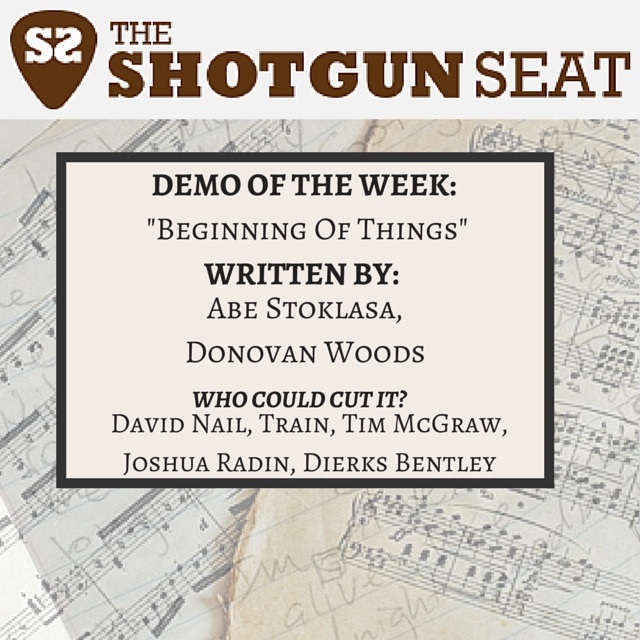 Our demo of the week is the reflective, lyrical “Beginning of Things,” written by Abe Stoklasa and Donovan Woods. “Bad Way To Go,” written by James Slater, Caitlyn Smith, and Erik Dylan, is emotive and reflective, and could be a good fit for McGraw or Maddie & Tae. 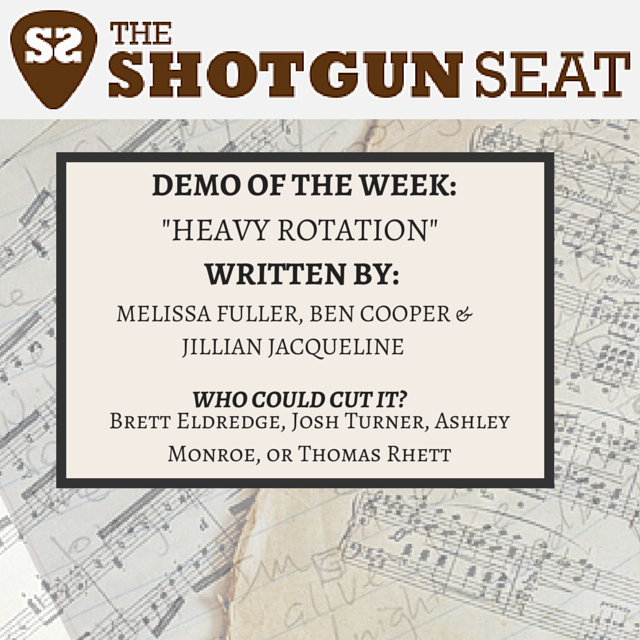 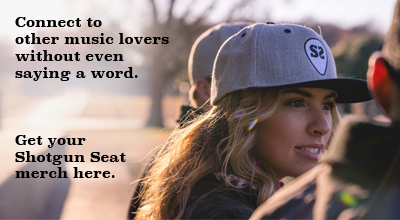 This soulful, romantic, laid-back Saturday song could work well for Brett Eldredge, Josh Turner, Ashley Monroe, Billy Currington, or Thomas Rhett.